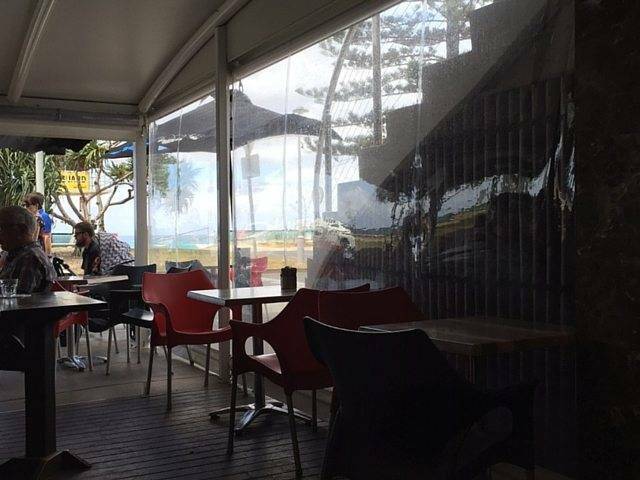 Situated under the Miami Beach Surf Club, Piccolo Espresso is one of Miami, QLD’s most popular and attractive cafes. Owned by former professional road cyclist Robbie McEwen, the café is a favourite with locals and tourists alike. Recently, Robbie faced an uphill battle…not as difficult as Stage 10 of the Tour de France perhaps, but tricky nonetheless. His outdoor café blinds were in a state of disrepair and he needed to find suitable replacements. These were Piccolo Espresso’s outdoor blinds before Australian Outdoor Living got involved. Thankfully Cube Racing’s, Ben Henry – who AOL have supported for several years now – is a good mate of Robbie’s, and was kind enough to refer Mr McEwen to our Australian Outdoor Living team in Loganholme, when he heard of Robbie’s interest in Outdoor Blinds. Ben knew that Robbie would want the latest and greatest! Our hands-on General Manager, Ian Hall was only too happy to personally provide Robbie with a friendly service to share his expert advice … and eventually, a great product (see the pictures below). As smooth as a velodrome surface, the whole experience left Robbie more than satisfied. With Ian’s knowledge and information, Robbie was able to decide on a custom designed solution. Within just a few weeks Sean, our very handy and talented senior Outdoor Blind Technician, and Ian were back at Piccolo Espresso to ensure a smooth installation and final hand-over to Robbie. 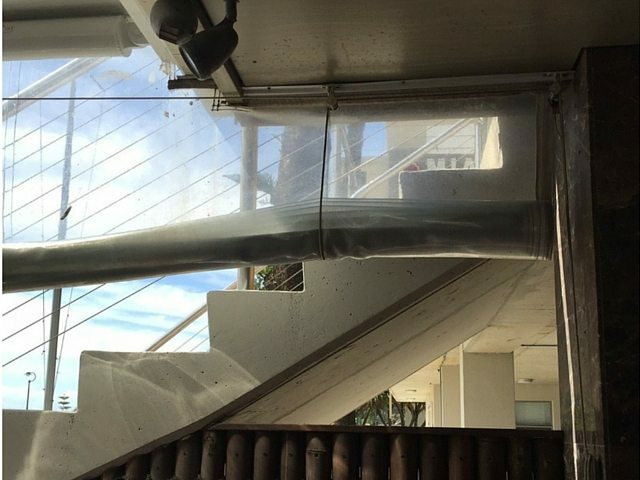 These obstacles included the strong South Easterly winds, a tree that severed the outdoor space in two and a peculiar building shape that required curved awnings. 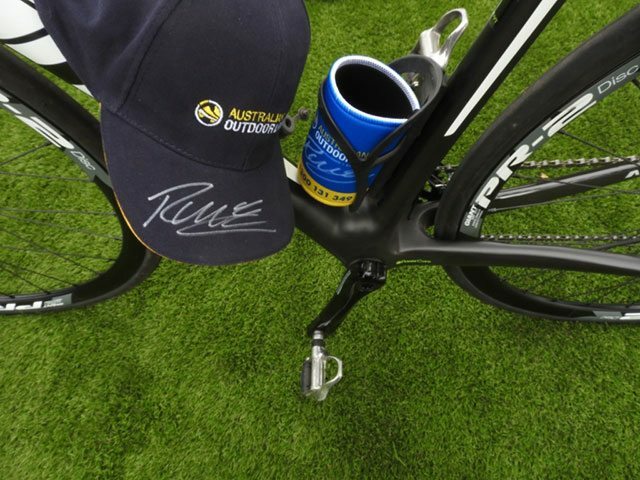 We were lucky enough to get some Australian Outdoor Living merchandise signed by Robbie himself! Do you want your own clear views? Check out our selection of clear and tinted café blinds.